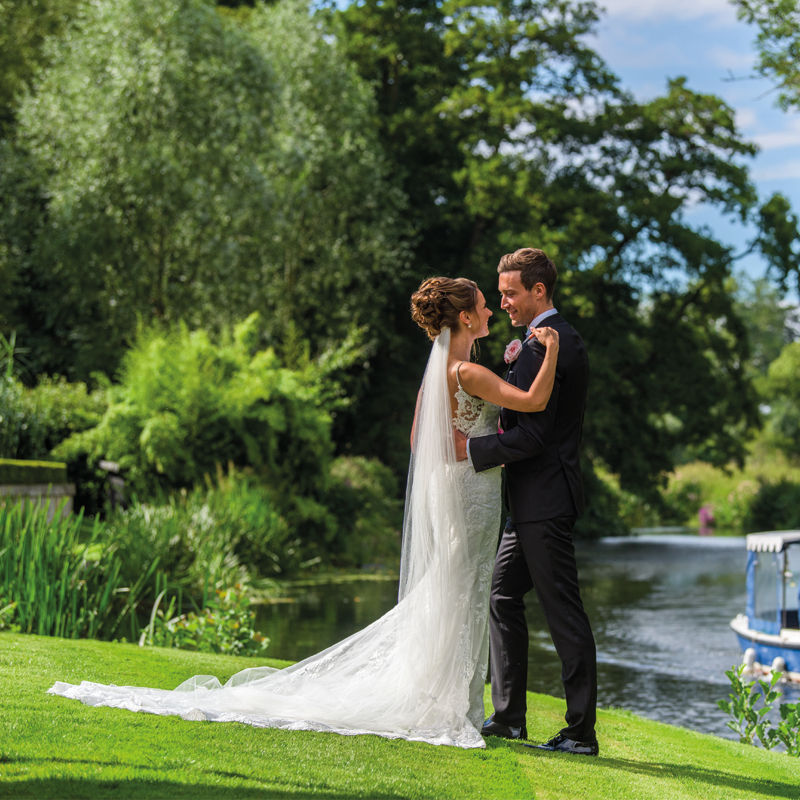 Set beside the natural beauty of the River Stour lays one of the finest wedding venues in Colchester, Le Talbooth, where you can enjoy your special day in stunning surroundings. 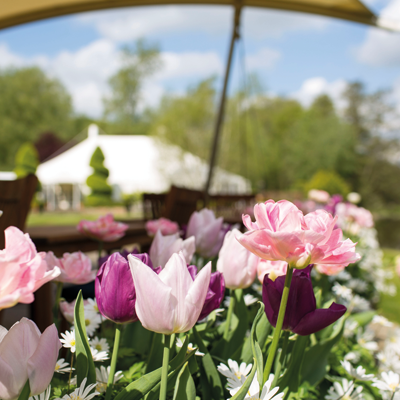 Providing a magical setting for any wedding, whether dining in the riverside restaurant or dancing in the Marquee on the upper terrace, the setting is picture perfect. The restaurant has a civil ceremony licence for up to 130 people in the River Room. 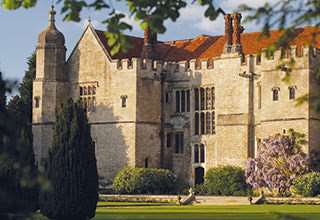 This is a beautiful room which looks out onto the river Stour, terrace and perfectly manicured lawns. 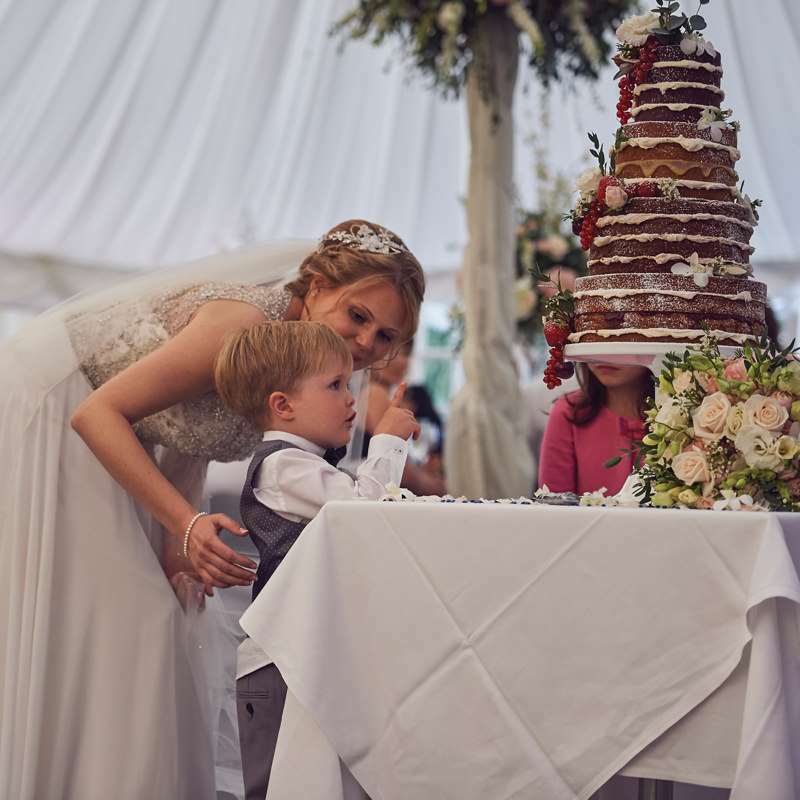 By getting married in the River Room followed by a wedding breakfast in the marquee which means that the wedding party has exclusivity of Le Talbooth during the day from their ceremony until early evening. 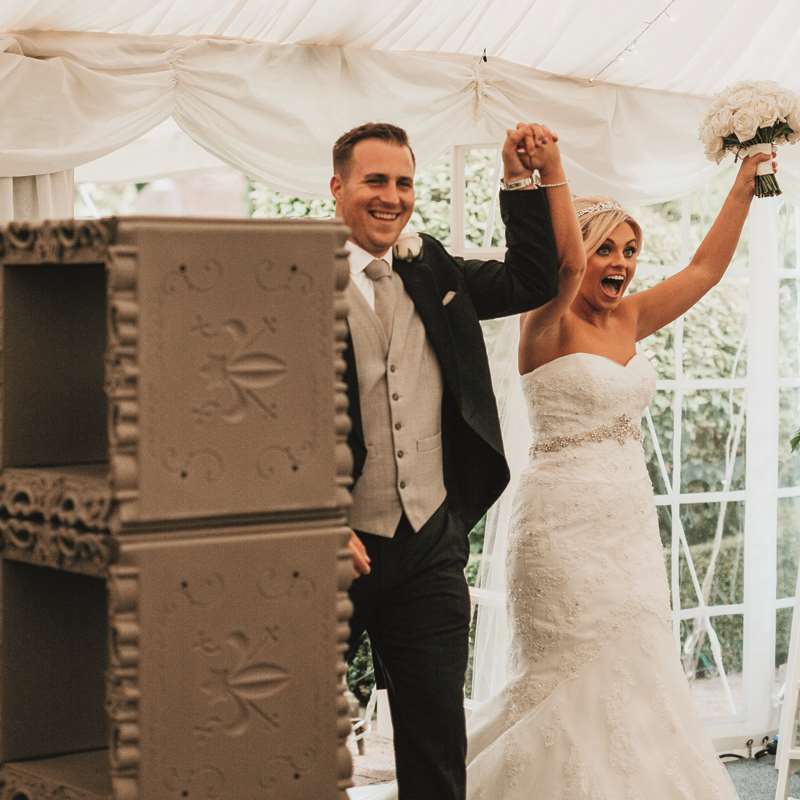 With the hire charge starting from £1,000, the Marquee on the upper terrace, with its unrivalled position beside the river Stour offers a flexible space and is perfect for an intimate wedding for 50 as well as a larger party for up to 150 guests. 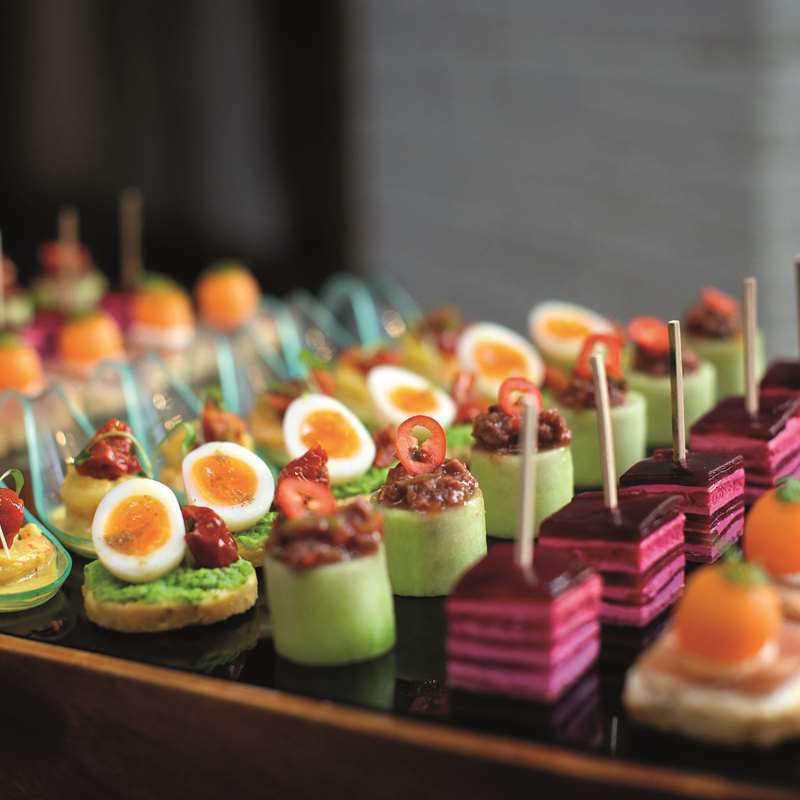 Our chefs use great ingredients and imaginative menus to create incredible dining options for your wedding. Discover all you need to know about dresses, discos, food, fashion, friends and trends - visit our blog today. We want to make sure your day is perfect. Scroll through our timeline below, so you know what to expect when you work with us at Le Talbooth. 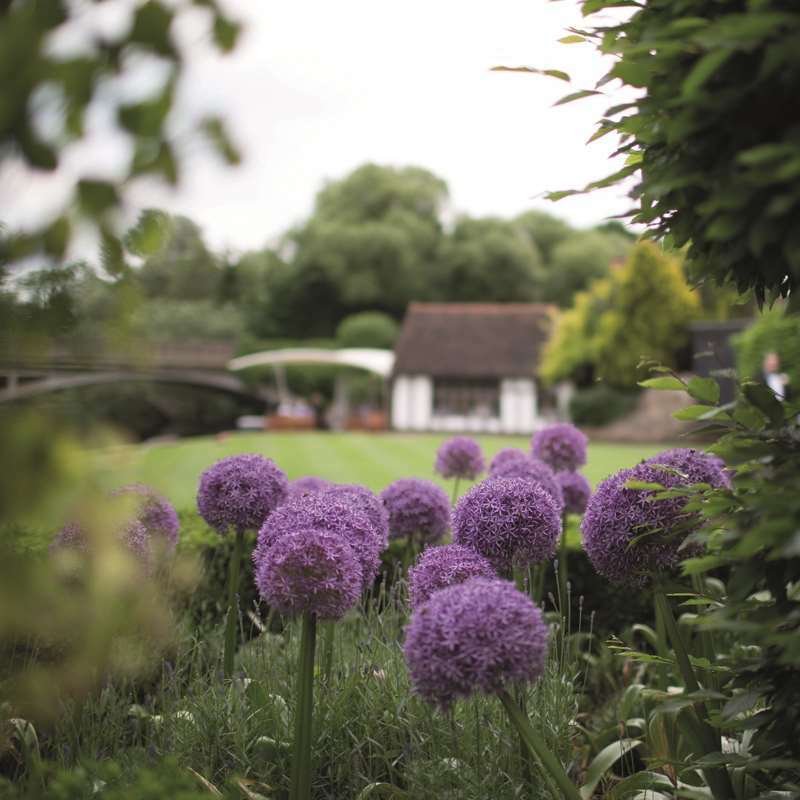 Le Talbooth is a modernised 16th century listed building with a stunning Marquee set within the riverside gardens that gently curve along the River Stour. This licensed location is just lovely and when the sun is shining and the flowers are in bloom, there are very few places that can top it. 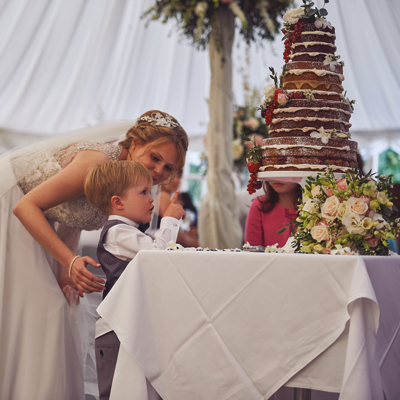 The Milsom Weddings team are here to be as involved as you need us to be. Preparation is everything, and from your first viewing to the final dance we’ll be working tirelessly on every detail. Weddings are what we do. No two are the same, but all are delivered with the utmost care, consideration and attention to detail. 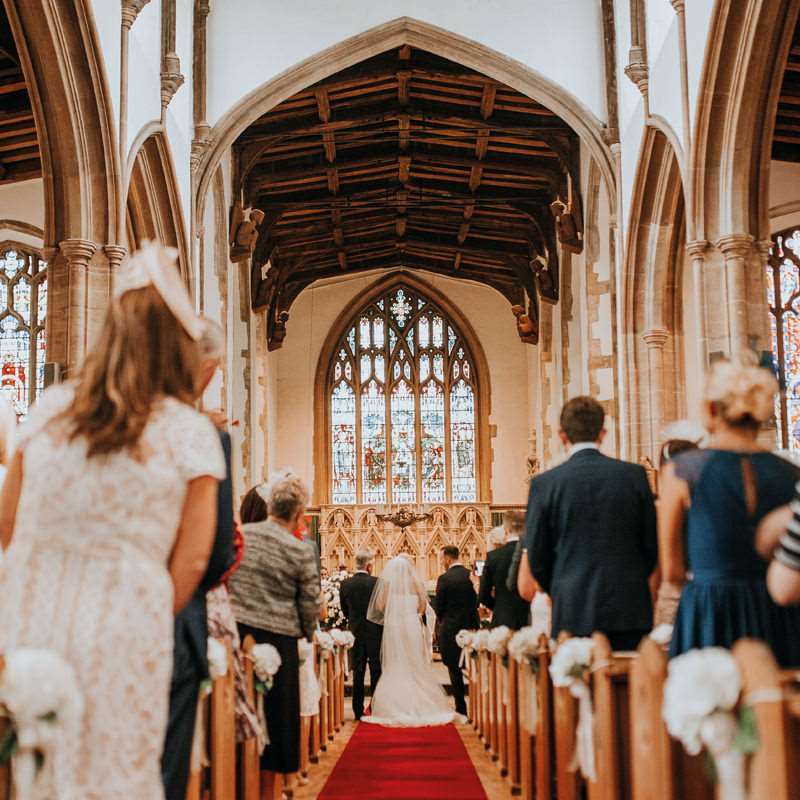 You have the option to have your wedding ceremony at a local church or registry office, or indeed here at Le Talbooth in our River Room, which is the perfect intimate location to say ‘I do!’ in front of family and friends. This is your day and we make sure that you have it your way. When it’s time to greet your guests at Le Talbooth, you can choose to arrive by carriage or coach or perhaps even our boat. 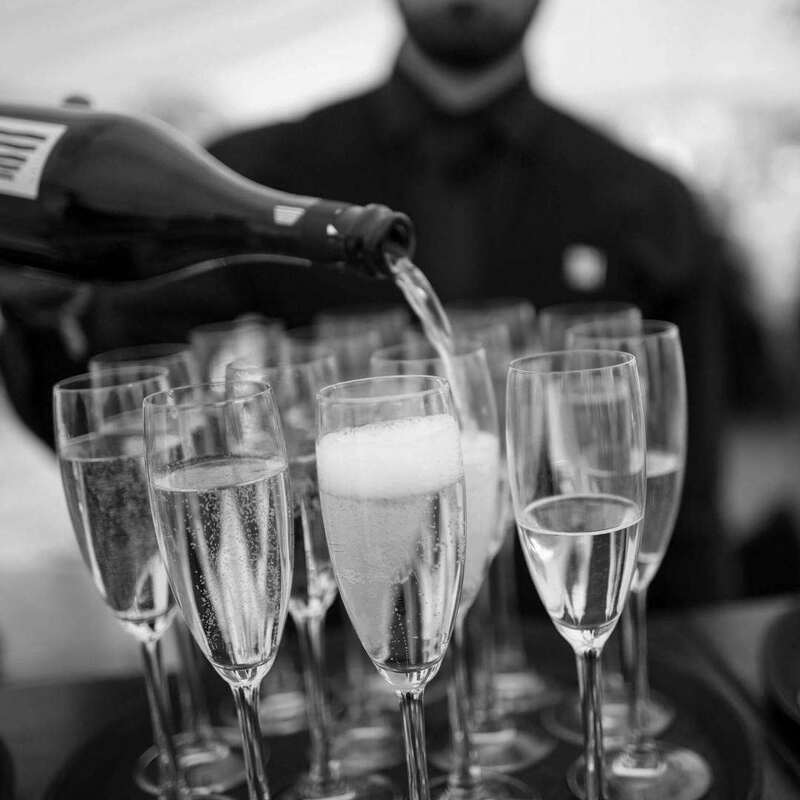 When the canapés and refreshments arrive, they’re always welcome and it’s our job to make sure that you and your guests have everything you need to enjoy and savour these moments. You’ll be a little more relaxed now as you notice your guests unwinding and enjoying the day. The photographer will have captured the images and memories and you can now look forward to enjoying the menu that you’ve chosen. Guests are seated and you’ve made your entrance – it’s time to sit back and soak up the day whilst enjoying your wedding breakfast. Your band, music or entertainment will all be in place as you anticipate the arrival of your evening guests. 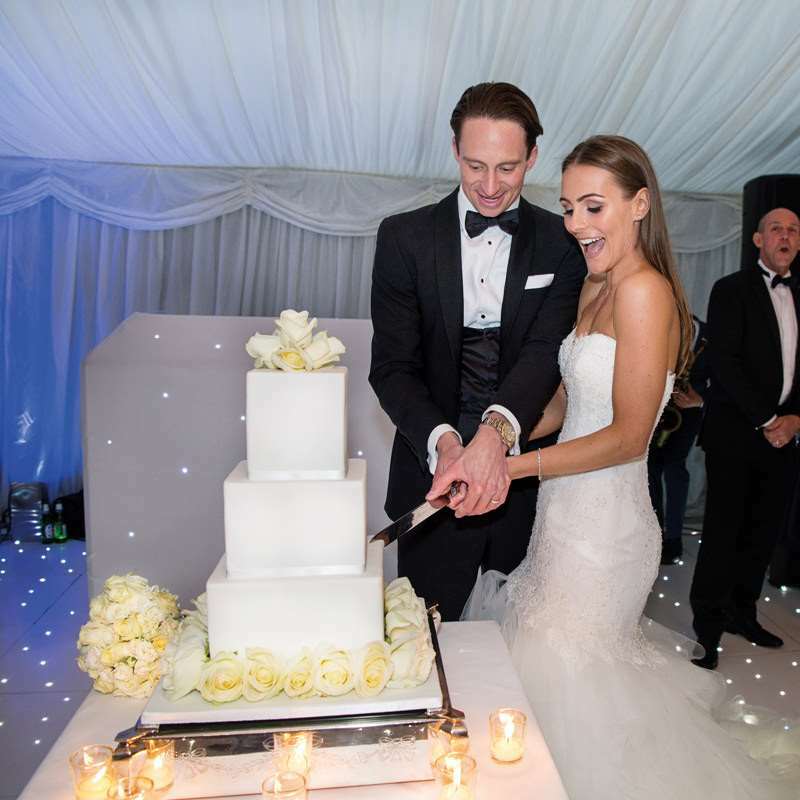 The cutting of the cake and the first dance signify to your guests that the evening is upon them and it’s time to completely relax and unwind. 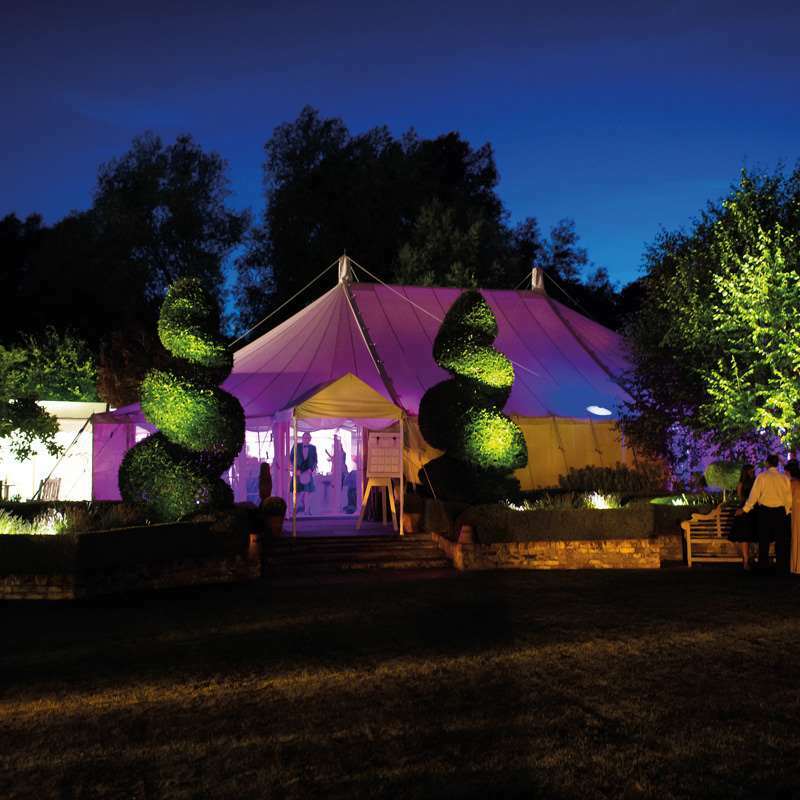 Your guests have no need to vacate the Marquee for a changeover, the venue is ready for the evening celebration straight after dinner. 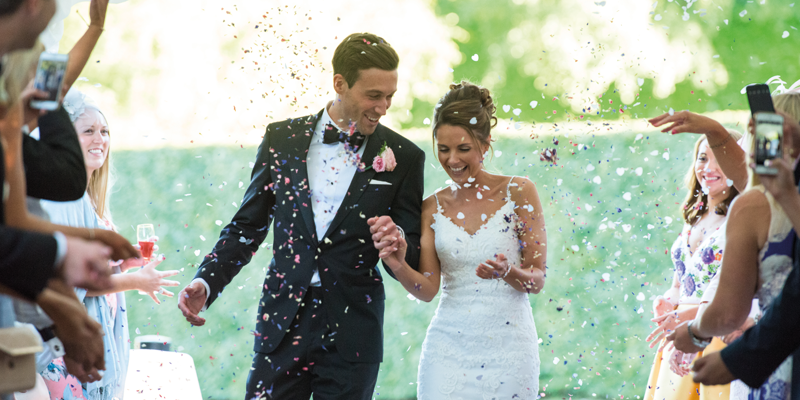 A wedding really should be a wonderful and memorable party and we’ll be there to make sure that happens. Le Talbooth is beautiful during daylight and illuminates at night, creating a wonderful backdrop for friends and family to dance until midnight. Once you’ve dined and danced late into the night, our courtesy vehicle is at the ready to transport those who are staying at our hotels. Perfect for an intimate wedding reception, the Weavers Room has capacity for 30 guests and is catered for by the same great team responsible for Le Talbooth. Situated on the first floor of this award-winning restaurant, the original wooden beams and ornate windows help create the character you’d expect from such a historic location. The River Room is ideal for wedding parties and can welcome up to 80 wedding guests. 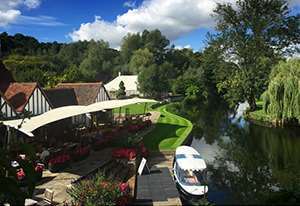 One of the few wedding venues located close to Colchester and set beside the river Stour, this contemporary and stylish space boasts a superb beamed dining room and opens out onto a riverside terrace. 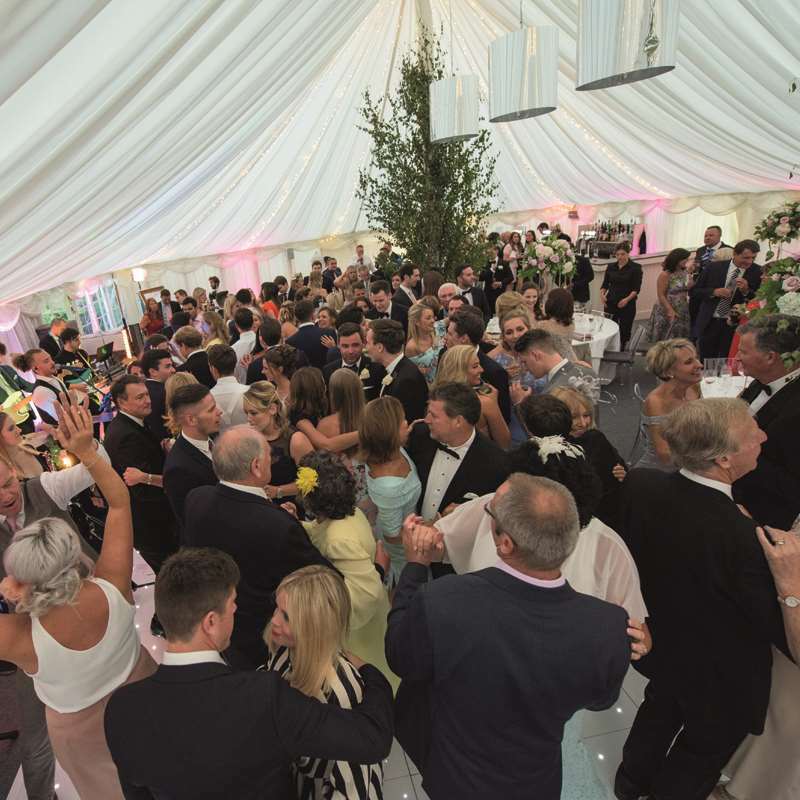 The Marquee on the upper terrace, with its unrivalled position beside the river Stour offers a flexible space for an intimate wedding for 50 as well as a larger party for up to 150 guests. 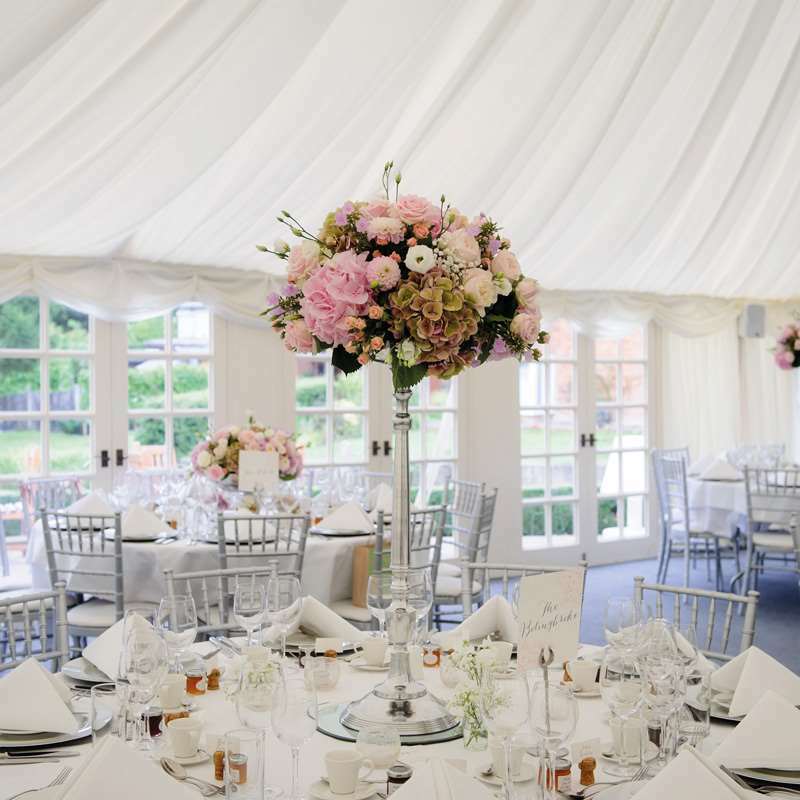 One of the few wedding venues located close to Colchester, this contemporary and stylish marquee is perfect for a spring and summer wedding. 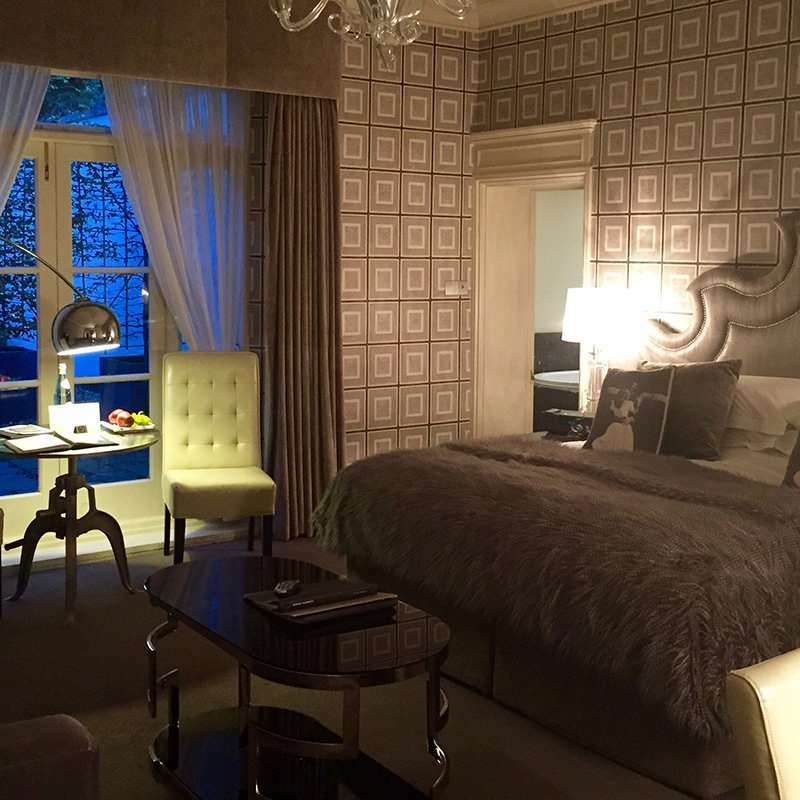 Come and visit Le Talbooth to truly appreciate its beauty. 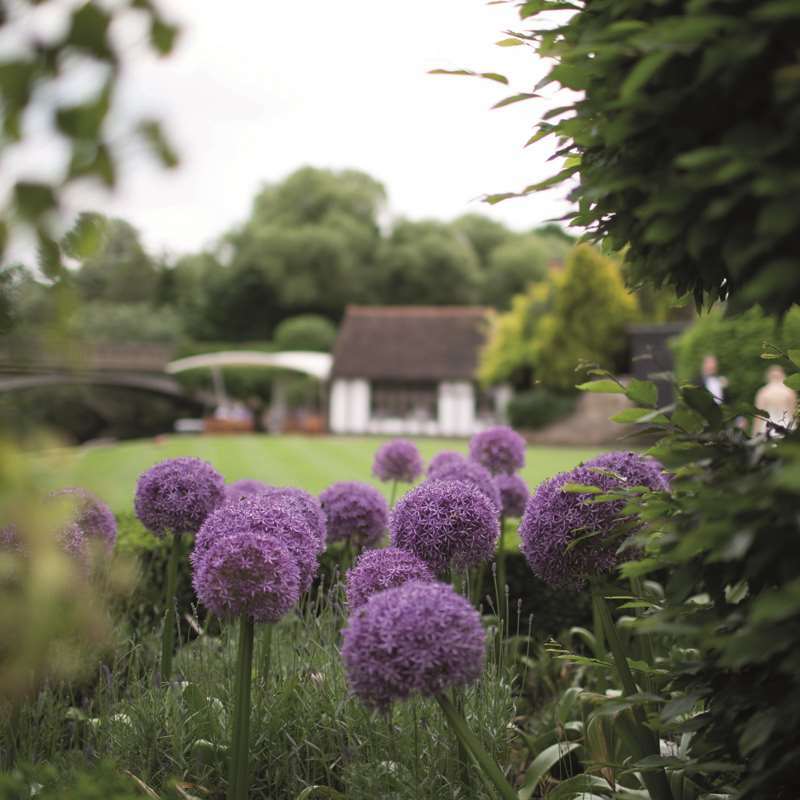 Le Talbooth enjoys a picturesque setting beside the River Stour, nestled away in the heart of Constable Country. Take in the stunning views of Dedham Vale and the beautiful Essex countryside as you experience great food and great service. 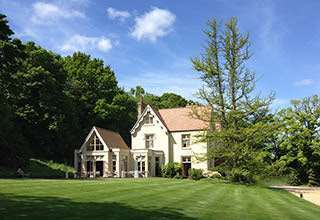 Close to Colchester, this fabulous Dedham restaurant is just five miles from the train station at Manningtree. 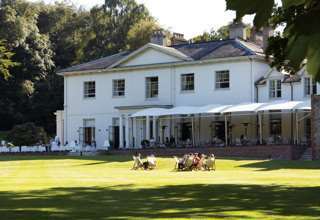 Le Talbooth: Gun Hill, Dedham, Colchester, Essex, CO7 6HP. If travelling from London, turn off M25 at Brentwood onto A12. Continue on A12 towards Ipswich, bypassing Colchester. Take the left exit signposted “Stratford St Mary, Dedham and Higham.” At the bottom of the hill, continue round sharp left bend, Le Talbooth is immediately on the left. If you’re travelling from Ipswich, take the A12 until you pass the sign to East Bergholt, continue down hill and take left exit to Stratford St Mary and Dedham. Then take the next right turn to Stratford St Mary. Continue through village to other side, over the river Stour, and Le Talbooth is on your right next to the river. If travelling from Colchester High Street, continue onto East Hill and over the mini roundabout to East Street before turning left at the next mini roundabout onto Ipswich Road. At the next roundabout, take the first exit, then the second exit onto the A1232, signposted Harwich A120. Continue along this road until merging onto the A12, signposted Ipswich. After 2.5 miles, branch left then merge onto Ipswich Road. In half a mile, bear right onto Gun Hill. At the bottom of the hill, continue round sharp left bend and Le Talbooth is immediately on the left.